Thanksgiving passed with only one family member asking about my dating life (thanks Uncle G), and mainly because I was teasing his kids about theirs. But now we're into Christmas parties + New Year's Eve plans, right? It's that time of year when you realize, even more so than on Feb 14th #galentinesday, how single you really are. So what's our response? It all goes back to attitude + outlook. I remember one year I really didn't want to go home to Christmas Carol because everyone was bringing their boyfriend/fiance. I had never missed Christmas Caroling (this year will be 26th year and I've only missed once!) before and Mom thought I was being a bit dramatic, which I probably was, but I didn't care at the time. I decided to go home to participate and guess what. Not one boyfriend/fiance was able to come that year. I'm sure all of my friends were sad their S/O couldn't make it, but what I saw was the graciousness of the Lord towards my lonely heart because He knows me so well! Open your heart and desires to the Lord. He knows you better than anyone and wants to know what's on your heart this season. 2. Recognize the events that might make you feel sad or lonely and pray about them as you're getting ready for it. And make sure to get a mani/pedi before! (hint: these tips also work for weddings). 3. Start a new tradition - with yourself or others. 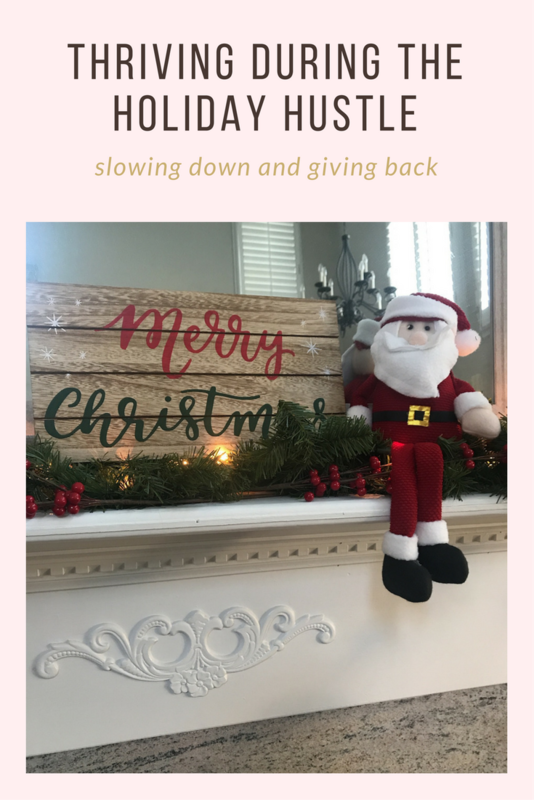 A few ideas for the you and your girls - cookie swap, pajama / movie party, look at Christmas lights, shop for a needy family (the list could go on). This year I've started my own tradition with myself of baking cookies on December 1st and lighting Momma's favorite candle. She gave it to my roommates and I a few years back and it is almost gone. I'll be the one crying the day it burns out. One thing I want to focus on this year is enjoying every minute of the season. I know this will be my last Christmas somewhat normal, with adding several people to our family in the next few weeks and months. This is known as the BUSIEST time of year - so many events to attend and errands to run. But y'all, we have the option to slow it down. Say yes to things that really matter and no to the ones just taking up space. You don't have to fill up every night and weekend with events. 2. Give instead of buying. 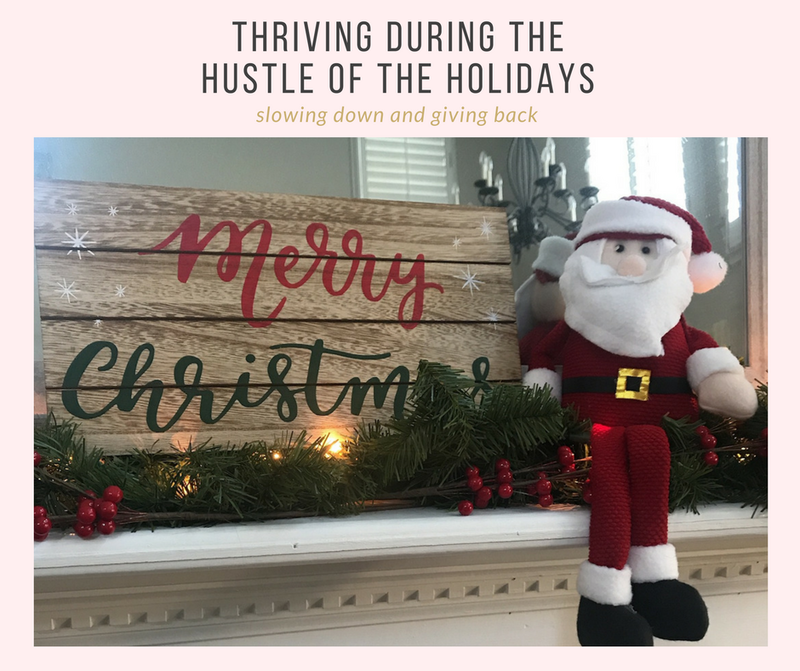 I started tallying up all of the little $10-20 gifts I have to buy this year, and although the white elephant gifts have totally been elevated this year, I also have started to realize how little I need. This is not to guilt trip anyone into anything, but I heard on the radio a family in Atlanta just wanted a toaster, so someone got them a toaster. I bet my $15x4 parties would buy someone a toaster. Can you imagine what could one of your parties could do by sponsoring one family? I've got some big ideas for next year that's for sure! Some years, money may be tight, and that's okay. Giving doesn't always require money. You can also give of your time. Find a local charity to get involved with and start making it a yearly tradition and invite your friends to join you! I really hope you take the time to slow down this year and love those around you and find some new people to love on. Any special Christmas traditions? Share below!